Moving home in Southampton and looking for a first-class removals service you can count on to get the job done? Then look no further, as we’ve been providing local homes throughout Southampton, Hampshire with a reliable and reasonably priced moving and storage service. We pride ourselves on offering a customer-focused home moving service that is tailored to suit your needs, whether you want a few boxes moved across town or your entire home contents safely transported to your new address. 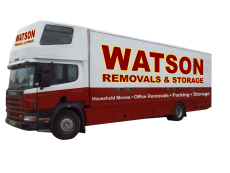 So, if it’s a professional removals company in Southampton and Hampshire you need, call us today for a free, no-obligation quote.